In June 2017, 24-year-old Randy Stair went to work at a grocery store in rural Tunkhannock, PA, for his scheduled event shift. For the first ninety minutes, according to police, he went about blocking the store’s exits with pallets and other items. Then, shortly before 1 a.m., he retrieved two shotguns from his car, went back inside the store, and methodically began shooting his coworkers. He killed three; a fourth escaped. Stair also shot up the store, damaging merchandise, counters, and other parts of the interior. He fired 59 rounds in all—the last one at himself. The county’s district attorney said Stair left an online trail revealing his disturbed mindset, including a 42-minute film on his Twitter feed in which he praised the Columbine School shooters and is seen kissing and fondling a loaded shotgun. All retailers live with this threat every day, and many have implemented security measures to prevent this exact type of incident, including the development of a well-defined threat assessment process. Unfortunately, extreme violence can happen at any organization—even at ones with violence prevention measures in place. Despite general acknowledgment that no organization is immune and a commitment to take threats seriously, workplace shootings continue to occur. This suggests that loss prevention directors should consistently review their “good” threat assessment process to see if there are opportunities for improvement. Where is the focus after a workplace threat? If someone alleges that a worker made a threatening remark or gesture, there is a need to establish the facts of the incident: What exactly was said? What did the worker mean? Did it violate policy? Does it warrant suspension? But the search for evidence that a worker made a threat can distract retail managers from more important questions that will help determine if the worker poses a threat. One critical action is to review the organization’s threat assessment form to see if focuses too much on details of the past incident at the expense of asking key questions that suggest what might happen next. In addition to what happened, a threat assessment form should ask questions such as: Does the individual have the capacity to carry out an act of targeted violence? Does the individual see violence as an acceptable or the only way to solve problems? Do you enlist support when needed? The report by Safe Havens International, which conducts research on school violence and emergency preparedness, noted that the organization’s threat assessors identified the level of risk and decided on an action plan on their own, without the participation of the local sheriff’s office. The report notes that cooperation and collaboration with law enforcement is a critical part of threat assessment, and suggests that all organizations should assess whether they would benefit from closer cooperation with local law enforcement and outside experts in behavioral assessment. 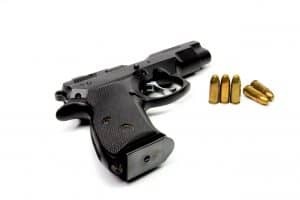 Workplace violence expert Dr. Harley Stock, a forensic psychologist for Incident Management Group, says it’s valuable to share your threat assessment model with police. That way, if you need to bring them into a situation, they will already know what process you’ve already completed, and that the case has been vetted to the point that they’ve been brought in judiciously. He said a relationship with local police is especially important in smaller communities where police is less likely to understand how a corporate violence prevention program functions, and that it may be necessary to do a certain amount of educating law enforcement. Also important is an established relationship with experts who may need to be called upon to support a retailer’s threat assessment program, such as legal counsel, consultants in the area of threat management, including an individual with a mental health background, and a licensed behavioral psychologist. Even if a retailer has personnel who are experienced and trained in conducting threat assessments, contacts with outside experts should be developed and maintained in the event these personnel are unavailable, or if an event is unique and outside internal team members’ comfort level. Finally, internal cooperation is also critical. Information needs to be shared between managers and supervisors who become aware of “people problems” and the asset protection leaders charged with implementing security controls to prevent those problems from becoming security events. Are responsible parties identified? A written policy will typically give the impression that responsibilities are well defined. However, in an actual event, it may seem that no one knows exactly who is responsible for carrying out different aspects of the policy. For example: the Safe Havens incident review found that the organization encouraged managers and others to bring information of possible concern to the attention of the threat assessment team, However, it failed to identified a specific threat assessment team member to serve as the initial point of contact for such information. It’s important to have someone act in this capacity to screen information and determine whether to initiate a threat assessment inquiry or to consult other members of the team as part of a threat assessment process. Are threat assessment forms thoroughly completed? One good way to assess the performance of the workplace violence prevention effort is to periodically review threat assessment forms for their completeness and attention to detail. For example, the Safe Havens report noted that the organization had a section titled, Threat Assessment Factors. In it, assessors were supposed to answer questions by checking appropriate boxes and to then “provide notes explaining the evidence next to each statement checked.” But in its review of the assessment forms, Safe Haven analysts “did not see many notes next to each checked answer explaining why the answer was checked.” In fact, one employee admitted in a deposition that writing notes next to checked answers was not common practice in completing the threat assessment form. Shortcuts were also apparent in the lack of supporting information. There were few notes, attached documentation, narrative, or other background material to support the rationale behind the decisions reached by the threat assessment team. “We are puzzled how [the organization] could reach accurate decisions on the level of threat if they did not have a solid background for their answers,” the report concluded. For a threat assessment model to work, three primary elements should be in place, according to workplace violence consultant Joseph Kinney. 1. The team assessing the threat should conduct behavior assessments at the earliest indication of a possible problem. 2. Individuals trained in recognizing violent behavior should make the behavior assessments. These individuals also need to have an understanding of methods that can reduce the threat of violence. 3. When examining behavior or characteristics, teams should be mindful that no single indicator, by itself, is necessarily highly significant. Teams should give significantly more weight when an indicator occurs in conjunction with other signs that a person is likely to become violent.